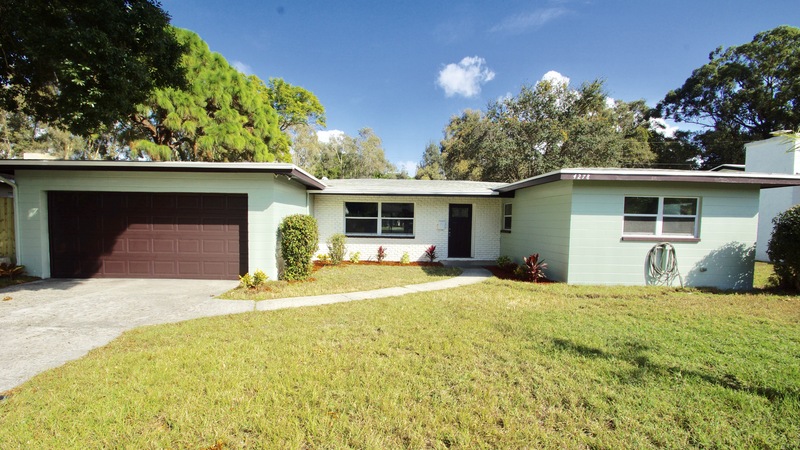 Beautiful newly renovated 3 bedroom, 2 bathroom home in Lakewood estates! Completely remodeled! New floors, kitchen, appliances, granite, bathrooms, vanities, tile, doors, complete makeover! Large open living room with sliding doors that lead to enclosed porch overlooking a gorgeous green space golf course! Separate dining room off new kitchen with stainless steal appliances and new granite countertops and cabinets. All bedrooms and bathrooms have new flooring, new tiled shower/bathtub and new vanities. New ceiling fans and light fixtures. The home also has a 2 car garage and washer/dryer hook-up. VIEWINGS: Please email us with the day and time you would like to view the property. RENT: Rent is $1,799 per month. UTILITIES: Tenant is responsible for all utilities (electric, water, cable, etc). REQUIREMENTS: No violent criminal record. No evictions in the past 3 years. Credit issues are not a problem as long as you have a good rental history. -First month rent ($1,799), however rent is pro-rated for mid-month move-ins. PETS: Pets are allowed but must be up-to-date with all vaccines, be spayed/neutered and be microchipped. A $250 pet fee is required. STILL INTERESTED? If so, please send us an email with your name, phone number, email address and property address you are inquiring about. Also include the date you are hoping to move.